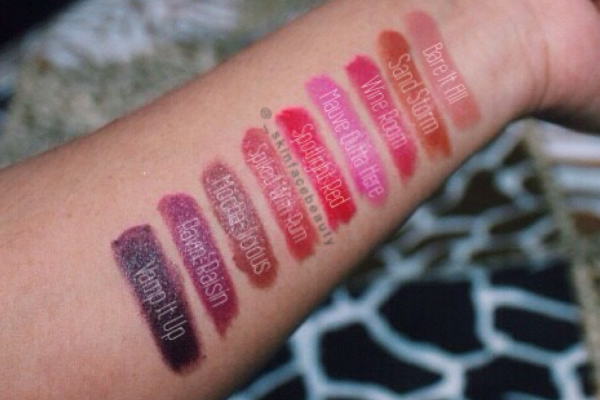 Wet n Wild are an affordable, American makeup brand with a huge range of lipsticks. I managed to get my hands on some and the colours I chose are so hawt! 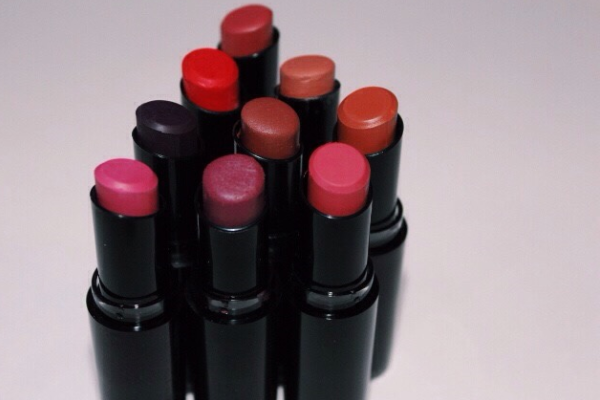 "a 4 hour, long wearing lip colour leaves a semi-matte, creme finish in one stroke. Glides on easily with rich, velvety colour that doesn't cake, feather or bleed. 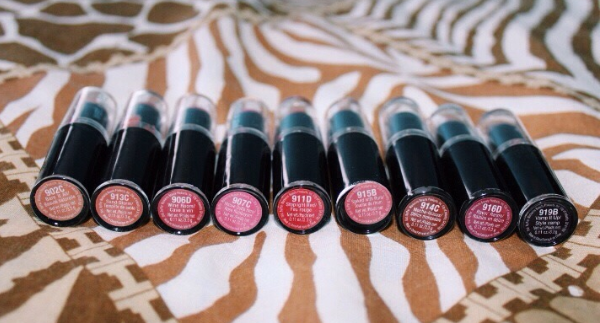 Made with hydrating skincare ingredients to provide extraordinary adhesion to the lips." 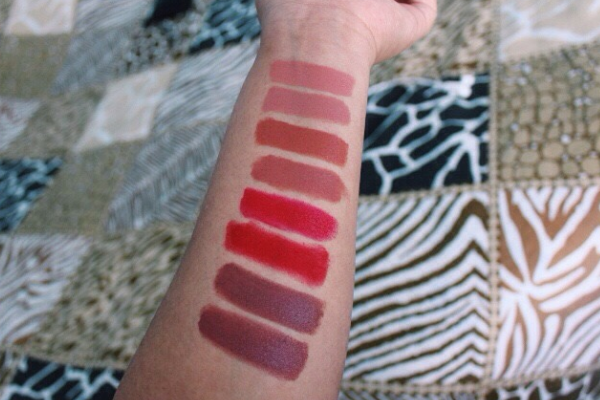 All the shades have a semi-matte finish with a slight sheen. 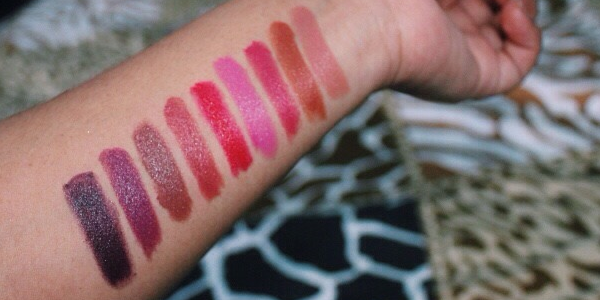 The swatches above are with one swipe so you can see how opaque and pigmented these lipsticks are. They all have a very creamy and smooth formula and last about 4-5 hours leaving a slight stain towards the end of the day. 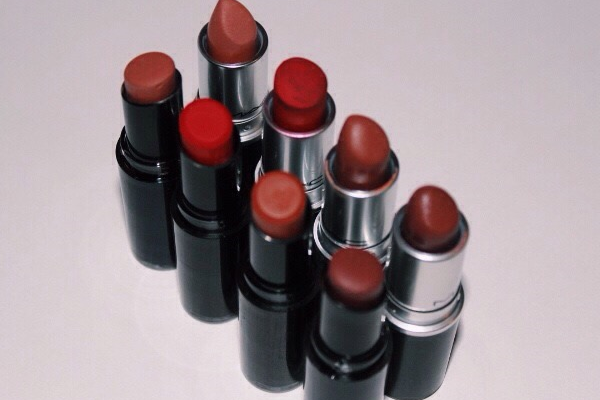 I have always worn a lip liner with these lipsticks so I haven't experienced any bleeding. cheap packaging: the actual bullet with the product turn in all the way and because of that, the lipstick always smears onto the inner part of the lid- not so great when in a rush! 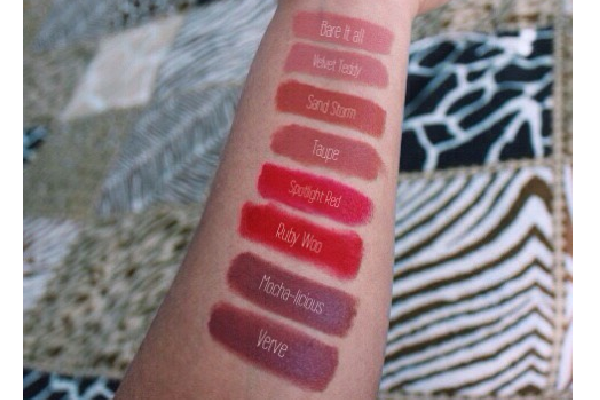 All the dupes aren't perfect matches, but they are very similar as a cheaper alternative.